Business owners have many options for constructing their commercial facility, from very large corporate construction companies to simple general contractor based businesses. The differences that these options provide play out in the long term value of the final product, in addition to your personal time and effort that’s required throughout the building process. At CCC, we tailor our process to suit you. Every project is different and so are the needs of every client. After getting to know a little bit more about you during the initial meetings in the Pre-Construction phase, we will tailor a team to best suits your needs. Every step that we take through the construction process, is specifically designed to mitigate the common risks of constructing a building. Every CCC project is developed in 3D/Building Information Modeling (B.I.M. ), a virtual realty system. You will virtually experience your building before construction begins – no need to read blueprints. This thorough process reveals field challenges before ground breaking thus eliminating change orders and costly surprises. Updated 3D rendering will always be available to you online. CCC uses BIM technology on every project to save our clients time and money. Learn more here. We deal with issues that arise right away. We understand that mistakes happen but we do not sweep them under the rug. CCC believes in effective communication, and we keep client informed to the degree they prefer. There may be times during the construction process when you will want to have an owner-to-owner conversation. At CCC, we welcome that call. We are highly skilled at Value Engineering. 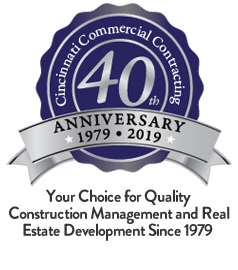 Your CCC team will negotiate with our vendors and suppliers, but we refuse to compromise on our construction standard of providing long-term value for our clients. So, what are you waiting for? Contact CCC today. We will deliver an exceptional construction experience and a facility that will last a lifetime.